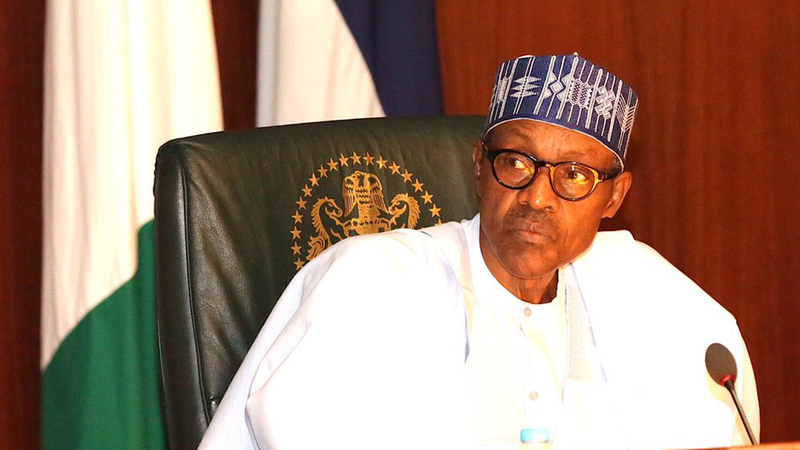 President Muhammadu Buhari has signed a constitutional amendment that stops a Vice President who completes the term of a President from contesting for the office of the President more than once. This is also the same for a Deputy Governor who completes the term of a State Governor. Buhari signed the amendment on today, Friday, June 8, 2018. The Senior Special Assistant to the President on National Assembly Matters (Senate), Ita Enang, disclosed this to State House correspondents at the Presidential Villa, Abuja. A President or a Governor's term can be aborted by virtue of death, resignation or removal, thereby paving the way for the Vice President or Deputy Governor to take over. The effect of the new law, however, is that having taken the oath of President or governor once, the affected person can only contest one more time and no more. According to Enang, Buhari also signed an amendment to the constitution that grants autonomy to state Judiciary and state Houses of Assembly. The new law means that funds meant for state Judiciary and state Houses of Assembly will now be going directly to them and not through state Governors again. The President also signed an amendment that reduced the duration for determining pre-election matters in courts to ensure that such matters do not get into the time of the elections and do not linger thereafter. Enang said, "I just want to inform you that His Excellency President Muhammadu Buhari today (Friday) assented to the Constitution Fourth Alteration Bill which grants financial autonomy and independence to the Houses of Assembly of the respective states and to the Judiciary of the respective states. "Therefore, upon this signature, the amounts standing to the credit of the judiciary are to now be paid directly to the judiciary of those states and no more through the governors and from the governors. "And then the amounts standing to the credit of the Houses of Assembly of the respective states are now to be paid directly to the Houses of Assembly of that state for the benefit of the legislators and the management of the state Houses of Assembly of that state. This grants full autonomy now to the Houses of Assembly and judiciary of states. "Another Act which has come into force today is Constitution Amendment 21 which relates to the determination of pre-elections matters. It has reduced the date and time of determining pre-election matters to ensure that the pre-election matters in court do not get into the time of the elections and do not linger thereafter. "The relevant section of the Constitution has also been amended by this Act, therefore amending the constitution. "The other one is Bill 16 which is now an Act. The intent of that Act is to ensure that where a Vice President succeeds the President and where a deputy governor succeeds a governor, he can no more contest for that office more than one more time. "The effect is that having taken the oath of President once, he can only contest one more time and no more. That is the intent of this amendment. "The other amendment is Bill 9 now an Act which gives the Independent National Electoral Commission sufficient time to conduct by-election. It has increased the time from seven to 21 days and generally widen the latitude of the INEC to handle election matters upon vacancy. "These four bills, added to the Not-Too-Young-To-Run Act, have now been assented to by the President and have now become laws. "The Constitution of Nigeria 1999 as amended is hereby further amended by the assent of the President to these bills today."